These are the maps I developed as I researched the setting for Second Sight. The maps are of Earth. They show how I believe the world looked around 13,000 BC. The oceans are lowered 800 feet below present sea level. The cities and countries shown were derived from names listed in Plato and Josephus. Atlantis according to Plato was a ten nation empire that covered two major continents as large as Asia and ancient Libya. I am theorizing based on Hapgood’s work that Plato understood the extent of Asia. Ancient Libya at the time of Plato covered a third of Africa. When I superimposed these land masses over the Americas from the Hudson to Argentina, I discovered the area matches to within about a thousand square miles when I take into account the lowered sea levels. 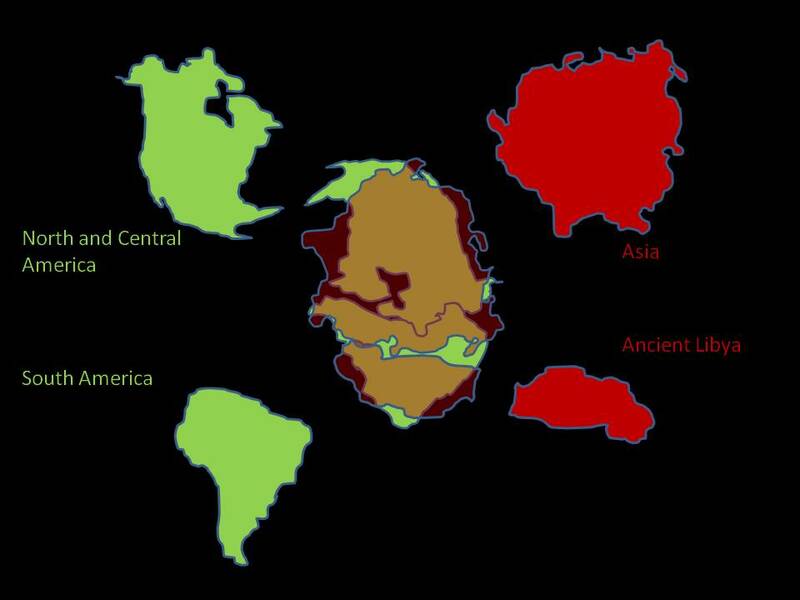 Here is my study of the land masses of Asia and ancient Libya as I believe Plato understood them, compared to the land masses of North, Central, and South America. When I overlay the land masses, I discovered they match to within approximately 1000 square miles. 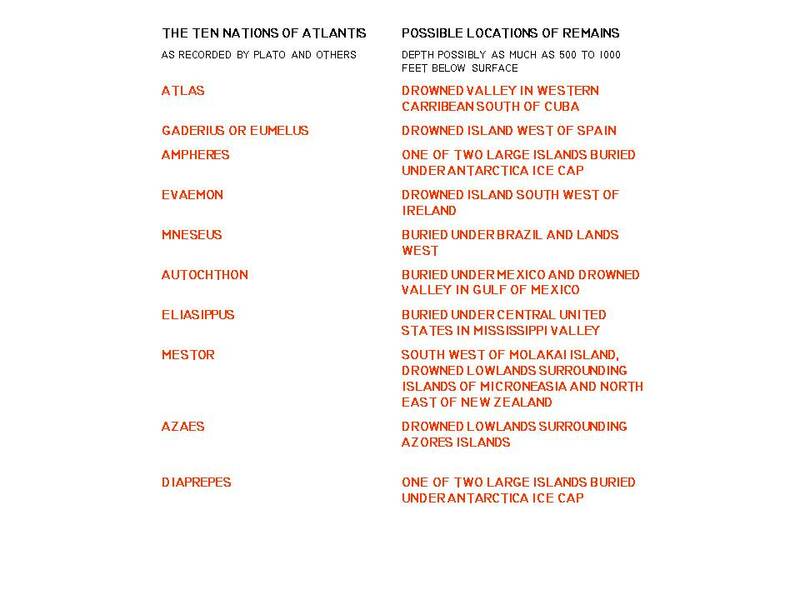 Here are the names of the ten nations of Atlantis and the possible locations where their remains might be found buried hundreds of feet beneath the surface. 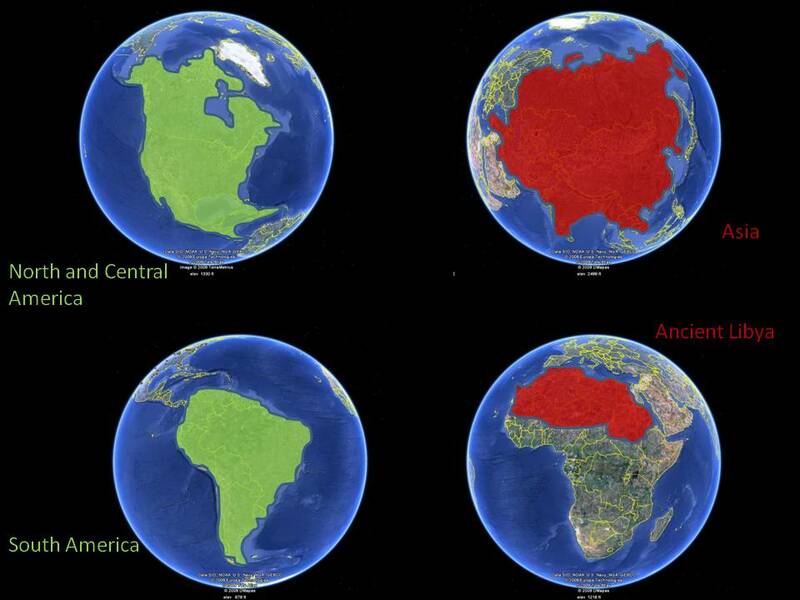 This is the Western Hemisphere as I believe it looked around 13,000. This is when Plato said the Age of Atlantis came to a sudden end. The Ten nations of Atlantis existed to the west of the Pillars of Hercules on an island surrounded by an ocean so large that it made the Mediterranean look like a harbor. Those are Plato’s words, not mine. 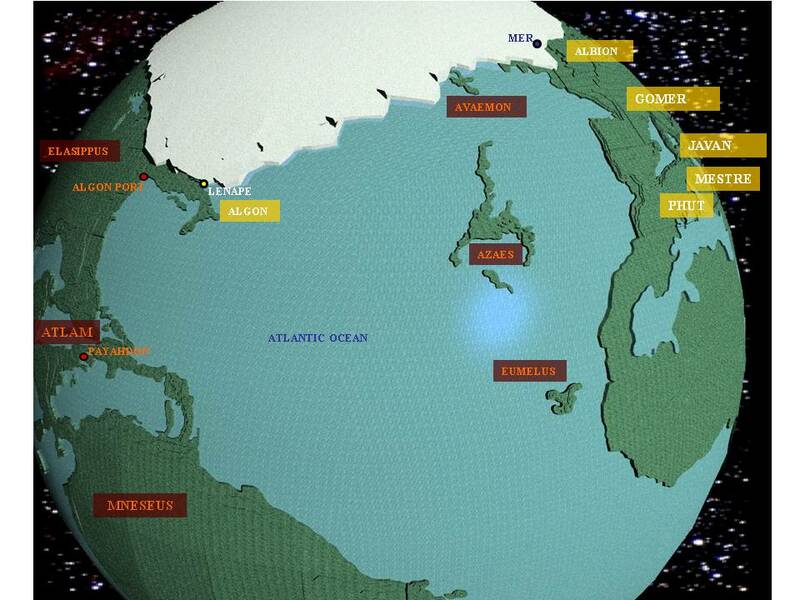 The American continent is an island surrounded by an ocean the ancients may have called the Atlantic. Our european ancestors gave it two names thinking it was two distinct oceans. Later we discovered they were connected. 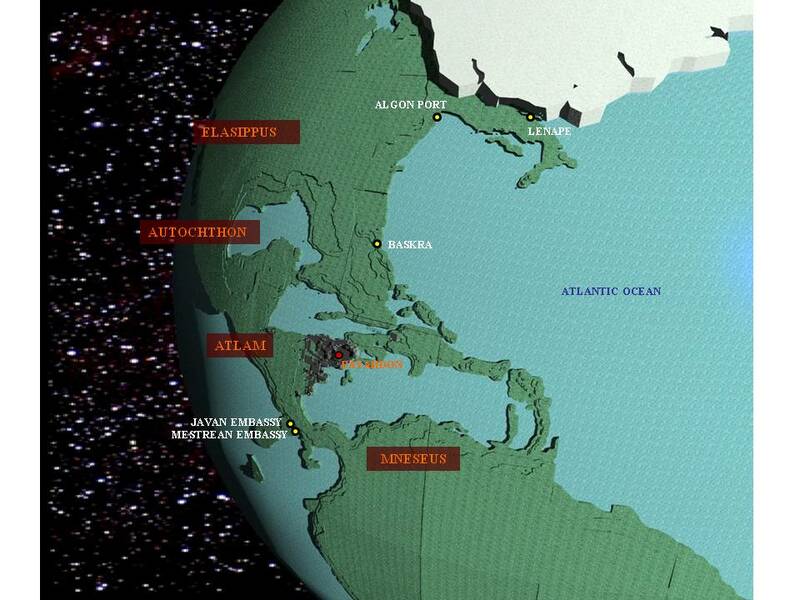 The most important and most powerful Atlantean nation was Atlas. It is shown in what used to be the Caribbean Valley. The capitol of Atlantis was Poseidon. A city so vast Pennsylvania, New Jersey, Maryland, Delaware, and New Hampshire could have fit within its city limits with room left over for Rhode Island. Is this the fabled city remembered in other cultures as Avalon, Valhalla, or Babylon? I decided to name the capitol Payahdon because I believe that whatever its original name, it was remembered by many cultures by other names phonetically similar to the ancient original. There were nine other nations comprising the Atlantean Empire. I placed them where I could find similar sounding names of rivers, mountains, or regions. For example Mneseus sounded similar to one of the original names for the Amazon.